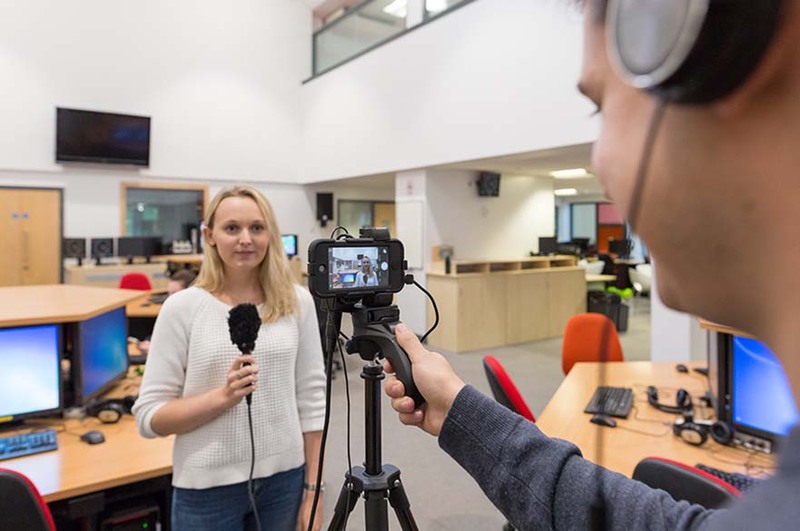 This is an informal open event that is designed to help you get a feel of what it would be like to train as a journalist at Nottingham Trent University in the Centre for Broadcasting & Journalism. Courses covered include Broadcast, Magazine, News and Documentary Journalism. This event is aimed at undergraduates and career changers who are interested in pursuing a career in journalism and need professional training and qualifications. Learn more about our postgraduate courses, meet and talk with academics, staff and students. Hear from our alumni who are working in the industry and see the industry-standard facilities in which you’d study. More importantly, it’s an opportunity for you to experience practical training including mobile journalism, filming, interviewing and audio sessions. So whether you're hoping to boost your prospects or change career, take the opportunity to come along for advice and information. Discover first-hand what a career in journalism could offer you.